OpenERP Touch Screen POS addons demonstration. It is included in new oepnerp v6.1 web client. [2011-10-26 17:32:41,080][?] WARNING:wsgi:Werkzeug module unavailable, falling back to wsgiref. [2011-10-26 17:32:41,082][?] ERROR:root:Failed to load server-wide module `web`. The `web` module is provided by the addons found in the `openerp-web` project. Maybe you forgot to add those addons in your addons_path configuration. Make sure that you are on latest version of server, web client and addons. It seems that your server is running with the error so you can try by installing pos module. I have the fallowing error. Can you help me please? [2011-11-07 23:26:21,161][?] ERROR:root:Failed to load server-wide module `web`. I have the fallowing error. Can you help me plase? Hello chosco you need to install package. Run below command in terminal. Hi. I click on start pos store, the first menu on pos module, and nothin happens. I have server and web 6.1. Thanks. Do you have any traceback on webclient terminal? did you start oepnerp server with --addons-path=addons,web_addons paths? This is because you don't have ssh key registered in launchpad. You can use this command to get branch without ssh key. hi, my interest in openerp 6.1 is purely for the touch pos system. I just installed the nightly build (server 10 dec) and web (12-12). there are still quite a few bugs. Can you advice me which one of the builds is the most stable for deployment at this point? I intend to use it in your establishment. New version of openerp pos is about to release. its not stable yet so please wait for the OpenERP 6.1 release. my interest in openerp 6.1 like others is for the touch pos. i installed the nightly build (server 10-12) web (12-12). there are quite a few bugs still. Can you suggest any release stable enough for deployment. I need to setup within our business. I probably should post this as a feature request at the pos project page but i dont know where that is. Is it possible to get keyboard shortcuts for a web based pos? Its still in development phase so we can not use in production version. We can expect the stable version in 1-2 months. 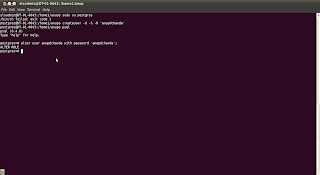 You can run server with LANG=C as command line argument to take default locale settings. Touch screen pos is available for OpenERP v6.1 only. 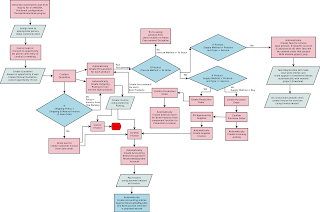 OpenERP Graphical presentation of business flow. You can use the GTK client and also the Web client as well. Install all the python packages in the system. You can have the following packages installed manually by running all the commands manually on the terminal.